Purchase a Personal or Promotional Message on an Upcoming Podcast Episode! Our "Jumbotron" program allows anyone to share their message on a MaximumFun.org podcast - just like the Jumbotron at the ballpark. It's a fun way to show your support for your favorite shows and get the word out about what you're up to. It's easy and cheap - only $100 for a personal message or $200 for a promotional one. We recently revamped this process, so returning purchasers may notice some changes and improvements. Jumbotron spots for Wonderful! are currently unavailable. The Jumbotron program is an accessible and informal way for listeners to sponsor an episode of a MaxFun podcast. These are one-off messages that we offer to our listener community at an almost laughably inexpensive rate. In other words, a message can only run once, and only on one show. You'll provide a couple of lines of basic info, and you'll get a mention on an upcoming episode. Jumbotron messages aren't intended for ongoing advertising campaigns. A message can not run more than once, and it can not run on more than one show. If you're interested in sponsoring one of our podcasts on an ongoing basis, you need to get your message out on a specific date, you want to see listener data, or you want to sponsor more than one episode, we'd be happy to discuss advertising rates! Please contact kira@maximumfun.org for more information about advertising. If you aren't sure if your message would qualify as a personal or promotional Jumbotron, or if you have any other questions about Jumbotron messages, please email daniel@maximumfun.org. Messages are scheduled on a first come, first served basis. You'll have the opportunity to request a preferred time-frame and we'll do our best to get your message out within that time-frame or as close to it as possible. A promotional message is one with any sort of promotional or commerical component to it. The cost is $200, and the character limit for your message is 500 (including spaces and punctuation). A personal message is one without any promotional or commerical component to it. The cost is $100, and the character limit for your message is 350 (including spaces and punctuation). -Wishing a friend, "Happy birthday!" If your message contains any promotional or promotional elements, it is a promotional message, and the cost is $200. It rarely comes up, but we reserve the right to not run a message. There are a few reasons this might happen - and undoubtedly some that we haven't thought of yet - but here are some things that cause issues: (1) if we find a message questionable or offensive, or if the hosts do not feel comfortable reading the message, (2) if the project or product in a promotional message resembles a current sponsor of the show, (3) if the message is political in nature - even if the politics align with ours (Other than the 2020 presidential campaign of Dip Dopson & Chip Dipson, of course.) In all of these cases we will not be able to run your message and will refund you in full. 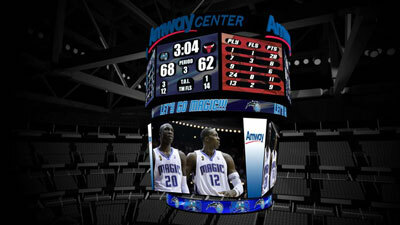 Purchase Your Jumbotron Message Now!